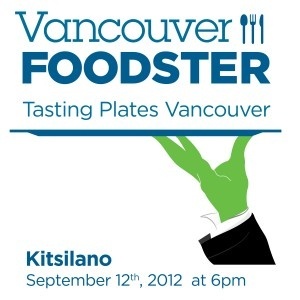 This past week was the third Vancouver Foodster Tasting Plates event this year. This event was the “Kitsilano Edition“. If you have never attended one, for Tasting Plates you visit 10 different restaurants/food trucks/other food establishments, sampling some of their tasty treats. Have you ever tried corn ice cream, or how about cheese flavoured ice cream? If you have been to South America or to South East Asia, you probably tried one of these, but here it is much harder to come across. I enjoyed the corn flavoured ice cream. The corn flavour was not overpowering, but you still knew it was corn. It was nice with the chocolate covered cookie. The seasonal chocolate was organic pumpkin and praline. 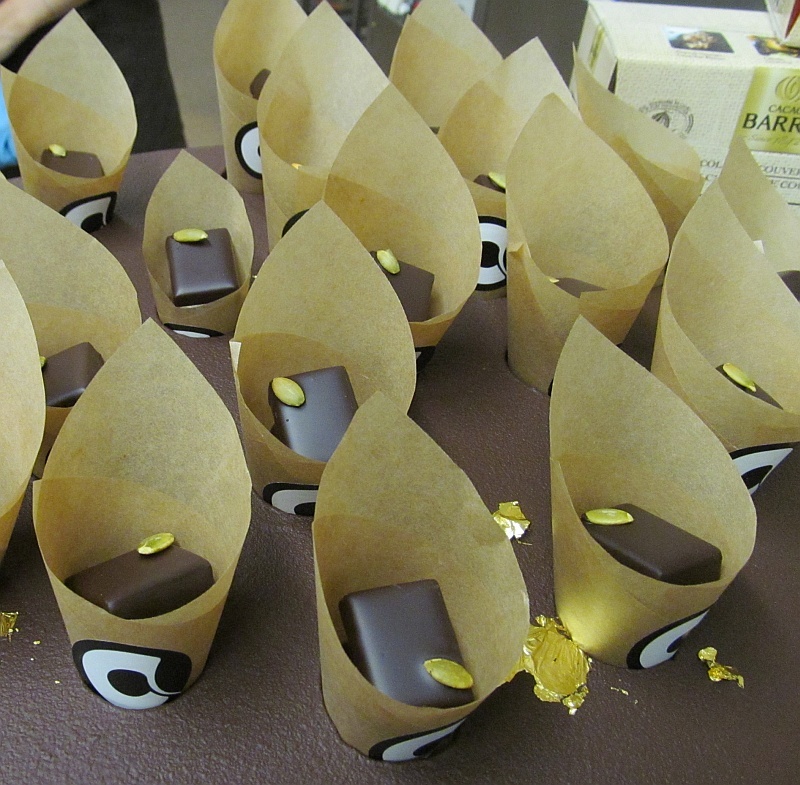 The pumpkin flavour was again subtle and went very well with the 70% dark chocolate coating. I would recommend going to the C.A.C. and indulging your sweet tooth. Bring out some BC ice wine or late harvest to complete the decadence. Bradner Farm Pizza: Certified organic free range rosemary chicken from Bradner Farm with red onions, house made pesto & oven roasted red bell peppers. Farmers Market Pizza: Topped with a combination of four to five seasonal local or preserved veggies, three herb nut free pesti & Capriny goat’s cheese. Naturally Meaty: Spicy certified organic beef, sulphate free Italian sausage, ripe tomatoes, green peppers, red onions, asiago cheese & fresh herbs. I tried the Naturally Meaty pizza. The organic beef was spicy, just like I like it, but a little light on the beef and sausage. No soggy crust. The restaurant was open for regular patrons and it was packaged. It is a very family friendly restaurant, with many tables full of young children. Pizzas selection: Margherita, Diavola, Prosciutto, Funghi, and Marinara. Pasta selection: Rigatoni alla Norma, Lasagne al Pesto and Tagliatelle al Ragù. 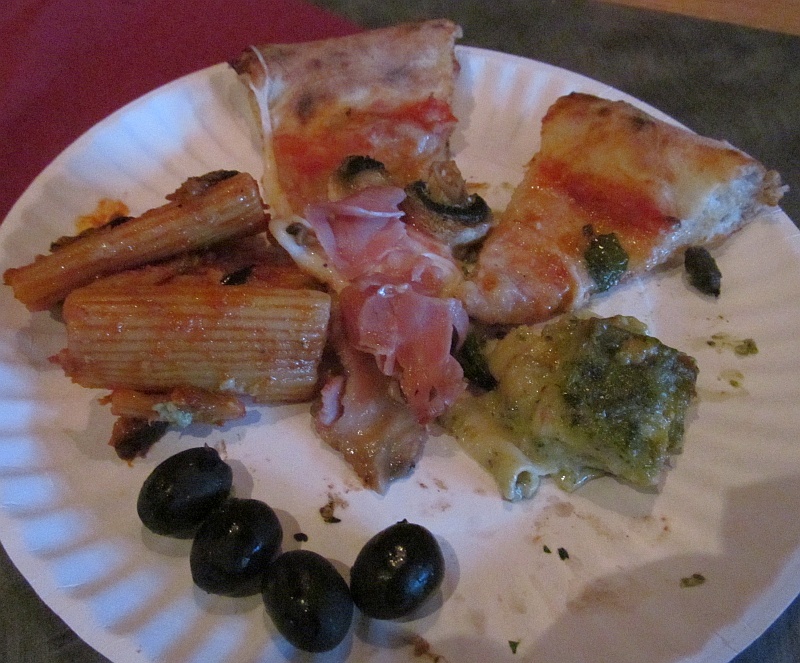 I went for a slice of the Diavola pizza and the Lasagne al Pesto. The lasagne was vegetarian and was so tasty with the wonderful basil flavour from the pesto. I think I liked it more than the pizza and I would definitely try it again. The Diavola pizza is made with spicy salami. It was spicy but if you are not spice lover, I think you would still find it at an acceptable heat level. Not too greasy, and a nice crispy crust. Go traditional and enjoy this with a glass of Tuscan Sangiovese (Chianti) or maybe try a BC Gamay Noir? If you like spice, then this place is for you, but one of the dishes, the Bengali mustard fish, was not spicy; just full of flavour. I really enjoyed it. It was made from cod fish. The taro roots with local potato was a dry dish, no sauce, and again was tasty for me. The lotus root dish had sauce and would have challenged a few people on the spice level. An off-dry riesling would help quell the fire. The sausages were all distinctive in taste. 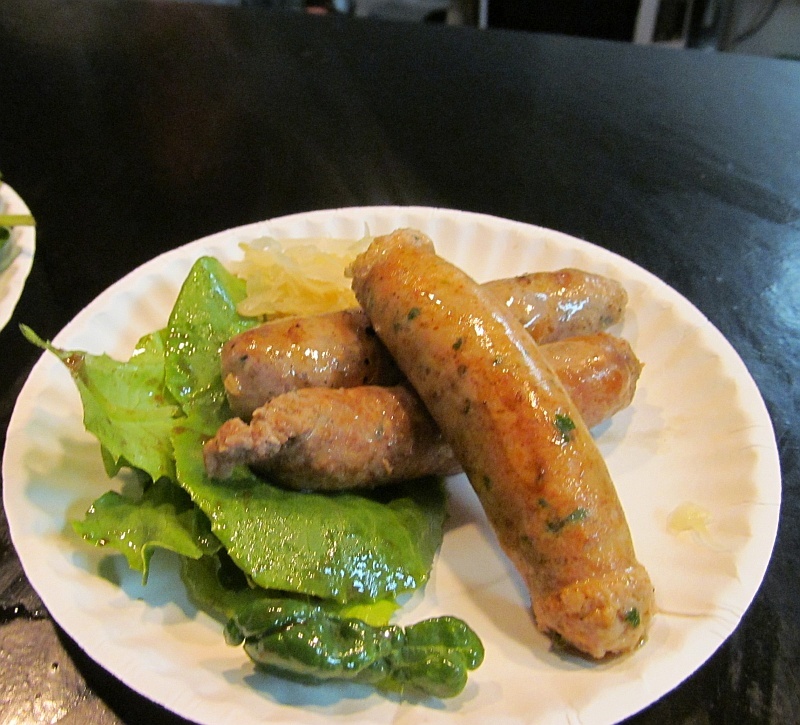 I think my favourite was the Lamb Merguez, but they were all very good. The sausages were not dry, but had the right mix of meat and fat for me. Maybe try this with a South African Pinotage? That’s all for now from me. Did you attend Tasting Plates? If so, what were your favourites? Leave a comment. Thanks again to Richard aka @vanfoodster for hosting this event. This entry was posted in BC, food pairing, Tasting Plates, Vancouver and tagged Atithi Indian cuisine, gamay, ice wine, pasta, Pete's Meats, pizza, riesling, Rocky Mountain Flatbread, sausage, Tasting Plates, The Bibo, vancouver, vanfoodster. Bookmark the permalink.